The TU Delft alumni network currently has over 50,000 members worldwide, and we would like all these alumni to be able to keep in touch with each other and with TU Delft. In that way they can serve as an inspiration to current students, help fellow alumni and support TU Delft. Stay up to date with what is happening at TU Delft and find out the latest news for alumni. Read more or subscribe for the email news letter. Activities for alumni are organised on a regular basis: by TU Delft, by alumni chapters or by faculty alumni associations. Read more. Would you like to keep in touch with fellow alumni, or get in contact with alumni or students? You can do this through a range of different alumni networks. Read more. 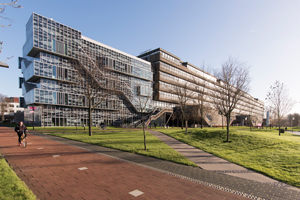 As an alumnus you can make use of several alumni services provided by TU Delft (e.g. services relating to personal and career development, networking and knowledge). Read more. TU Delft would not be what it is today without the feedback, knowledge and enthusiasm of our alumni. The support that TU Delft receives from its alumni is very important. Find out what you can do to help. Read more. Do you want to miss nothing about the fantastisc projects, students and research from your university? But don't you receive the email newsletter or the Delft Outlook yet? Or do you want to know what kind of activities and communication items there are for you? Make sure that you are registered in our alumni database. Read more. Alumni activities, special alumni discounts and networking & training opportunities. Register for Tudelftforlife.nl: the global meeting place for all TU Delft alumni.